I think that of all the "odd" car I've owned, the one that got the most attention (as in, "What the hell is that?) was my Rover SD1. Had I lived in Europe when I owned that car, the reaction would have been "So what? It's another Rover". Here in the US, where it was known as the 3500, the SD1 was sold for only one year, 1980. Only 800 were sent here and it took Rover well into 1982 to find homes for all of them. To say it was a failure would be putting it mildly. It didn't have to be a failure. 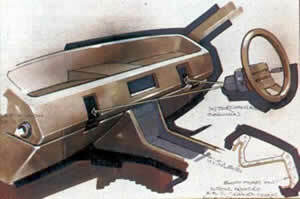 On paper it was a brilliant car. But quality control at BL's factories in the 1980s was awful and the cars that rolled off the assembly lines were poorly screwed together and broke down often. The interior was extremely comfortable, very roomy and relatively luxurious. It was also "modern" by British large car standards. There was not a piece of wood veneer to be found. The design of the dashboard was made symmetrical in order to allow for the assembly of both left and right hand drive cars. It had two gloveboxes. 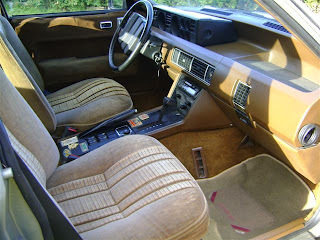 On a LHD car like this, there is a vent where the steering wheel would be if the car was RHD. In every place other than North America, these were great looking cars. In North America they had the mandatory big US bumpers and awful looking sealed beam headlights. More than anything, the loss of the flush headlights (also mandated by US law at the time) ruined the look of the front end of the car. If you buy one pay whatever you have to pay for a set of European lights. It makes a world of difference. 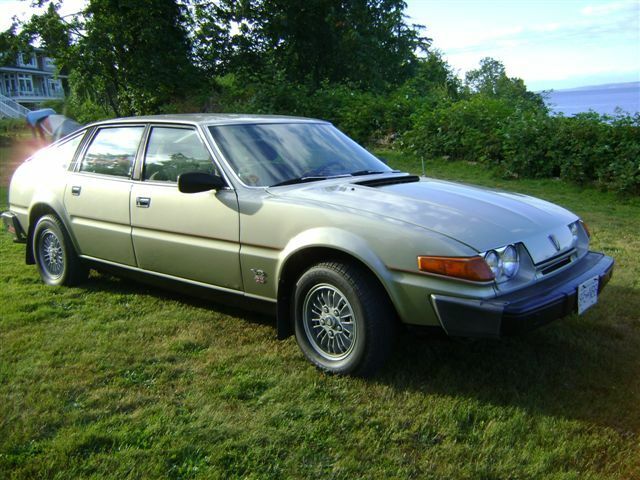 This is a very nice SD1. The seller says that the engine and transmission have been rebuilt. He states that there is a "small amount of rust showing in front of rear arches on rocker panel area". That's not too bad, as SD1s are rust prone. Have it repaired right away and then Waxoyl every place imaginable and you should have no further rust problems. The interior looks great. 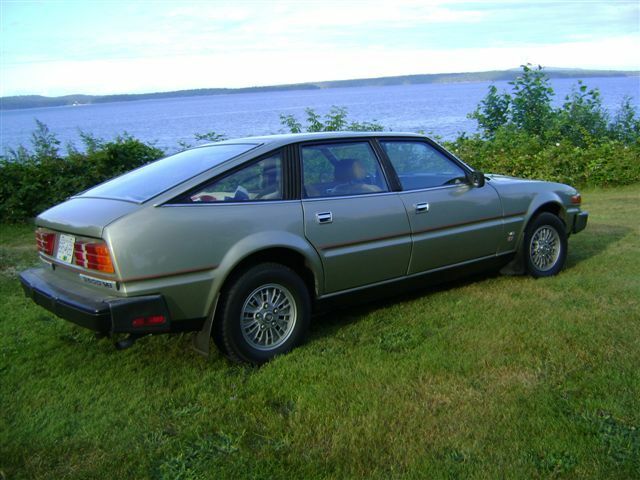 My SD1 was a reliable car. It never failed to start, it never left me stranded. It was fun to drive (mine was a 5 speed) and, as I mentioned, attracted attention everywhere I drove it. (As I mentioned in a very early post, it was too unique for my girlfriend at the time, who hated going anywhere in it. "It's too weird. People stare at us", she'd say.) I traded mine for an MGB, a move that I now regret. The MGB was a good, fun car, but compared to the Rover they're a dime-a-dozen. I should have kept the Rover and bought an MG. Oh well. This car is located in Chemainus, Canada. Click here to see the eBay listing. 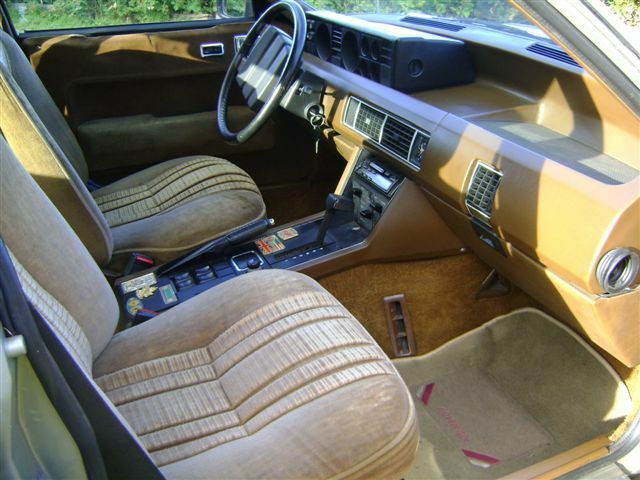 The Rover SD1 Club has a great website (which is where I stole the drawing of the dashboard from) that includes a very detailed article about the history of the SD1. You can find it here. Were these SD1 vehicles front-wheel or rear-wheel-drive? I really really want a SD-1. I had a 3500 in England when I was sationed at raf bentwaters and loved it.I would love to find one here in Atlanta ga but with the head lights they had for the us they are no more.All I did on my rover is paint it red and put a clutch rebild kit in her. the clutch was hyd.To have one shiped here I do not know if the usa will let me.